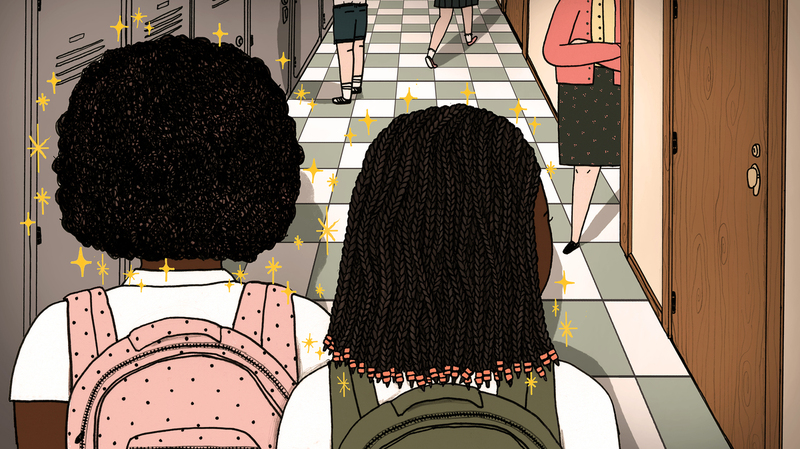 When Black Hair Violates The Dress Code : NPR Ed For wearing their hair in braids, two teenagers were threatened with suspension at their charter school. Similar incidents show that strict dress codes can punish students for their racial identity. But when the girls got to school, they were asked to step out of class. Both were given several infractions for violating the dress code. Mystic Valley Regional Charter School, north of Boston, bans hair extensions in its dress code, deeming them "distracting." 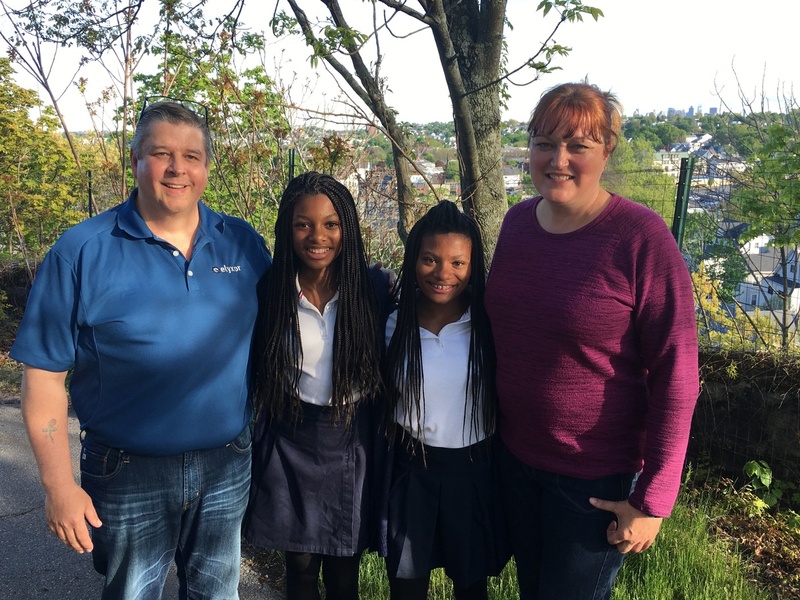 The next day, Colleen and Aaron Cook came to the school where, they say, they were told the girls' hair needed to be "fixed." The Cooks refused, telling administrators that there was nothing wrong with the hairstyle. As punishment, the girls were removed from their extracurricular activities, barred from prom and threatened with suspension if they did not change their hair. But, the Cooks say, the administration didn't see that those students were in violation of the dress code, stating those hair alterations weren't as obvious. The Cooks contacted the NAACP, Anti-Defamation League and ACLU to file a complaint against the school, calling the dress code discriminatory to students of color, particularly black females. In schools across the country, black student suspension rates are higher than their peers'. In charter schools, kindergarten through eighth grade, those rates are even higher. Having a dress code is one thing, but denying an education for it defies logic. In fact, Daniel J. Losen, director of the Center for Civil Rights Remedies, found that at the highest-suspending charter schools in the nation, the majority of students were black. Though databases for infractions vary from state to state, in a recent analysis, half of suspensions in charter schools were for minor nonviolent offenses, including dress code violations. Specifically, Losen's research shows that in Massachusetts, the Cooks' home state, black students at charters lose 24 more days of instruction to suspension than do white students. "Having a dress code is one thing, but denying an education for it defies logic," says Losen. Her research on zero tolerance policies and their outcomes shows that they enforce a marginalization of black girls in schools. Which can, in practice, criminalize their black identity. "What does a headdress have to do with learning and success?" asks Carter Andrews. She finds it strange that hair would even be part of a dress code. It's not a choice, but an aspect of one's body. Which raises a question: Is a zero tolerance policy for hair — where students can be suspended without warning — less about a dress code and more about a racial code? What does a headdress have to do with learning and success? Black girls are often seen as being loud or aggressive and are overly disciplined because of that stigma. Andrews finds that leads to low self-esteem and underperformance in school for these students. Jamilia Blake, who looks at the "adultification" of black girls in schools, believes stereotypes of black adults are put on black children in schools, and black girls in particular. Blake sees strict dress codes as a way of targeting certain students without using racial language. By using certain restrictions on hairstyles and dress, school officials are enforcing the policing of black youth. Meanwhile, the Cooks continue to advocate for their daughters as the dress code fight goes on. The school hasn't made any plans, publicly, to change the regulations around hair. Colleen Cook wants people to know that they're fighting not just for their daughters but for the other black girls in the school who have felt victimized. When our daughters walk with us, they have our white privilege. When they're not with us, they're black children. "When our daughters walk with us, they have our white privilege. When they're not with us, they're black children," says Aaron Cook. Colleen agrees, adding, "I feel like the school is pushing us to raise them as white children, but that's not who they are or who they're going to be." The Cooks value their children's black heritage and want them to be proud of themselves at home and at school. They'll continue to fight to make that happen.